I’m back! And this time I’m wearing a glitter beard to celebrate the kickoff of Stampin’ Up!’s amazing sale – with so many items marked up to 50% OFF I can’t let you miss this one! My new beard is shiny and festive and sure to grab your attention – plus, you know how much I LOOOOVE glitter. This sale can’t be missed – and if I have to resort to glitter, then so be it. Click on the link below for a quick look at the amazing deals that are being offered between November 23 and November 30. Although you can certainly print off the document above and mark it up for all the great things you want to buy, please come back frequently to reload the file in the link – it will be refreshed by Stampin’ Up! to include items as they are sold out. Or…CLICK HERE to view all of these sale items in my online store. Designer Series Paper: Buy 3 select Designer Series Paper, Get 1 Free. Who doesn’t need to replenish their Designer Series Papers? This is a great option for this one-day Flash sale. See the selection of papers eligible for this sale on the link above. Happy Thoughts Paper Pumpkin Kit – 50% OFF. What a great way to try out Paper Pumpkin! This adorable kit was a favorite with my Paper Pumpkin subscribers – quick and easy to pull together with some great stamps you can use over and over again. Punch Boards. If you don’t already have these great tools, now’s the time. 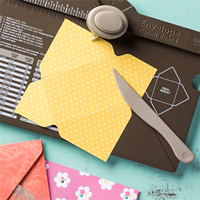 While I love the Gift Box Punch Board, the Envelope Punch Board is a must-have. Gift Box Punch Board: 30% off. 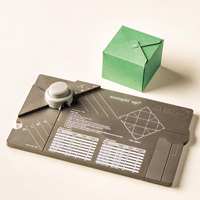 Envelope Punch Board: 30% off. THERE’S MORE! There are so many great items on sale today – I’ve only highlighted the TODAY ONLY items in the post above. Make sure you check out all the sale items by clicking on the 50% banner above. STILL MORE! While you are entering your order, don’t forget to add-in items from Stampin’ Up!’s Clearance Rack – who doesn’t love those deals?! To see the Clearance Rack items, click here. BUY THE STARTER KIT. This promotion is a great time to get more “bang” for your “buck” when you buy Stampin’ Up!’s Starter Kit and join my InKing Royalty group. For just $99 (and free shipping), you can select $125 of product of your choice with ABSOLUTELY NO OBLIGATION to buy anything afterwards. It sounds “too good to be true,” but it’s not. 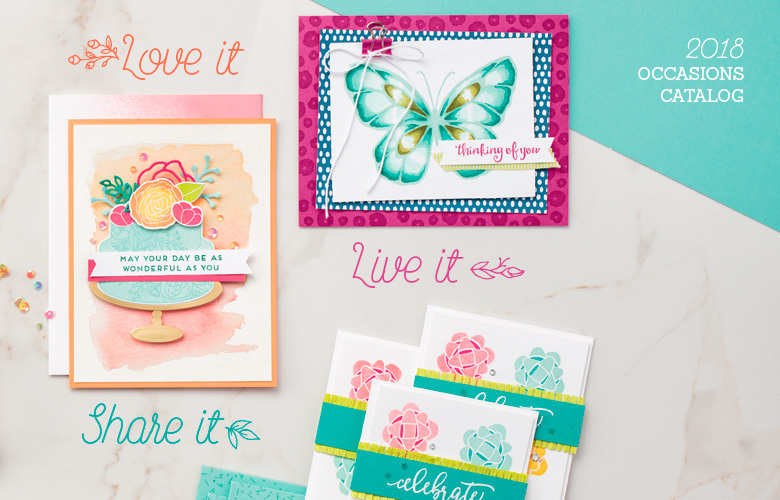 When you join today, you’ll also get to see our 2016 Occasions Catalog and 2016 Sale-a-Bration catalog – they are AMAZING – and you’ll be eligible to order from it starting December 3. YIPPEE! If you’ve thought about joining my AWESOME team, please contact me. If you have questions about this amazing promotion or need additional information, please let me know. Let’s call you Brian Claus. Yes, I saw this on FB and did think of you immediately, as did the one posting it! Ha. Ha. Thanks for the LOL. Looking great! You are too funny! The beard looks great…see, no need to fear glitter. Wow! That gives new meaning to no-shave November! There’s nothing funnier than your glittery beard! Made me gasp when I first saw it! Love it!